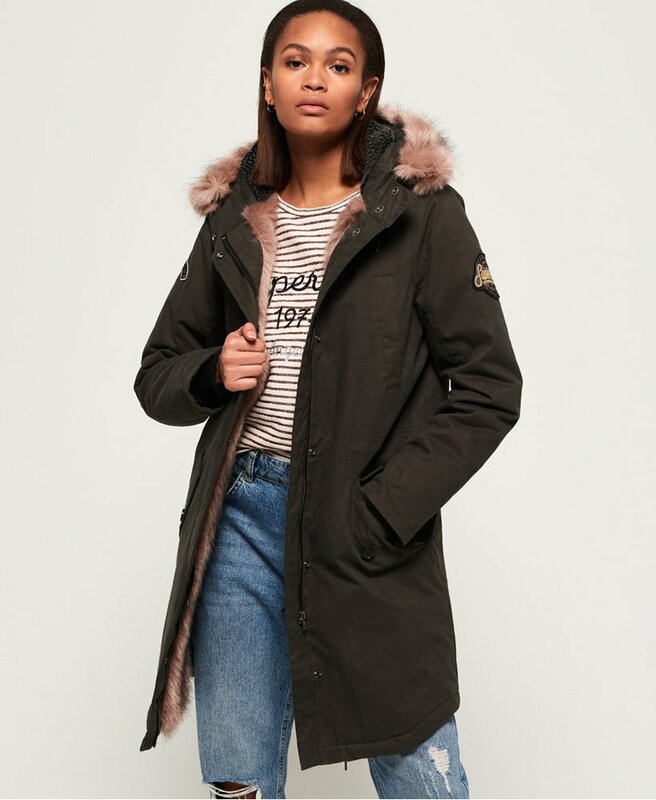 Superdry women’s Frankie faux fur lined parka jacket. Cosy up in style this season with the Frankie faux fur lined parka. This parka features a removable faux fur trim on the hood, a fleece upper lining, a quilted lower lining and zip and popper fastening. The parka also features four front pockets, and the adjustable waist means you can get your perfect fit. The Frankie faux fur lined parka is completed with Superdry logo badges on the sleeves and further faux fur trim detailing on the lining.